The implementation of the European Pillar of Social Rights is a necessary but not a sufficient step towards a fairer Europe. Therefore, AK EUROPA used this year’s report “Benchmarking Working Europe 2019” as an opportunity to discuss during a joint event hosted with the Austrian Trade Union Federation (ÖGB Europabüro), with ETUC, ETUI and political representatives, which steps have to be taken within the EU to put the focus on employees. In view of the EU Election, ÖGB President Wolfgang Katzian referred in his opening address to the fact that many employees were not sure about the direction Europe was about to take. From the point of view of trade unions, there is only one answer: the path taken must lead to a social Europe, where fundamental social rights take priority over profit interests. He also emphasised the urgency of effectively fighting against wage and social dumping and the necessity of Europe-wide social minimum standards. He put particular emphasis on the demand of strengthening the social dialogue all over Europe. In connection with the study, Philippe Pochet, ETUI General Director, addressed in particular the subject of investments in green technologies and demanded that these would have to rank in first place in Europe. 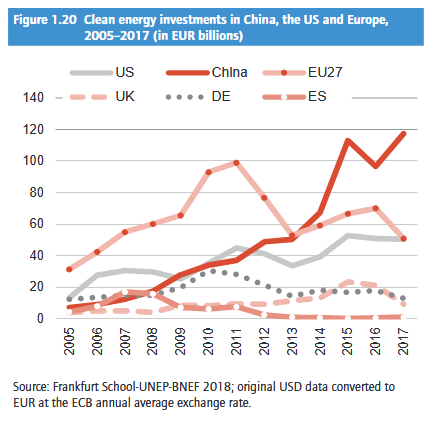 In doing so, he referred to a result of the new report that demonstrated that China would investment significantly more and that even the US under Trump would not invest less in green technology than currently the EU. Apart from that, Pochet mentioned the significance of “workplace democracy“, in particular against the background of a changing political landscape in Europe. This would also pose an increasing risk for co-determination and labour rights. Following the opening addresses, Maria Jepsen, Director of the ETUI Research Department presented the study “Benchmarking Working Europe 2019”. The report focusses on four main points: Economic growth, labour market changes, wage development and co-determination. The report shall give a comprehensive picture as to what extend the European Union is a Union of the working population. Jepsen regards the widening gap in the sectoral development between Central/East and West European countries as a reason for concern: Central and East European countries have been affected above average by the decline of the production sector in Europe. However, in particular in these countries, this decline is only inadequately compensated by growing sectors in Europe, such as health and social professions. This results in their upwards convergence being weakened. Luca Visentini, General Secretary of ETUC, put the lack of public and private investments in Europe up for discussion. In his opinion, this is the reason for many current challenges, such as high unemployment and precarious jobs. He also emphasised that collective bargaining is the only effective instrument to ensure that wage development keeps up with economic development. He would therefore like an EU-wide framework directive to better enshrine collective bargaining in the EU and also to enforce it in those countries, which have no or hardly any relevant tradition. Ruth Paserman, cabinet member of the Commissioner for employment, social affairs, skills and labour mobility, talked about a successful legislative period of the Directorate-General for Employment, during which a lot started to move concerning the rights of employees. The greatest success was the proclamation of the European Pillar of Social Rights, the conclusions on the Work-Life Balance Directive or the Regulation on the European Labour Authority. In view of investments she agrees that action needs to be taken in the coming years. Sotiria Theodoropoulou, Head of Unit: European economic, employment and social policies ETUI, commented on the increasing loss of the bargaining power of employees due to political decisions over the past years. This had been made worse by the partly declining number of trade union members. Apart from that, she put the productivity growth target in Europe into question, as this, as shown by the IMF, would lead to more inequality. In general, in accordance with her assessment, one has to ask oneself the question whether a larger cake, which is divided more unequally, maybe a target in itself. Adi Buxbaum, Senior expert in the Social Policy Unit at the Austrian Federal Chamber of Labour, BAK, briefly introduced the WIFO Study “Labour Market Monitor 2018 - EU in a nutshell” commissioned by the AK. In his contribution, he questioned in particular the measurement concepts, based on which unemployment and employment are statistically recorded throughout Europe. For example, all people, who have worked just one hour during the reference period, are recorded as employed. Hence, the common standard indicators gloss over the current situation on the labour market in Europe. He derived from this that the view of reality is distorted and that the formulation of economic and social policy conclusions is adequate to fulfil the needs of the people in Europe. In his opinion, only a better analysis of the existing situation - for example through complementary indicators - will enable the creation a positive future. Video of the event: What does it take to have a European Union working for workers?